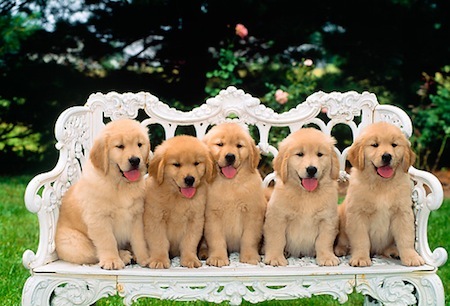 On the 5th day of Christmas my true love gave to me… 5 GOLDEN RETRIEVERS! 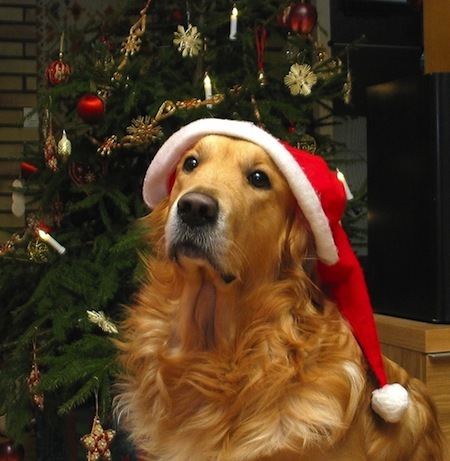 Golden Gift Suggestion #5: A golden retriever! The holidays are a perfect time to bring a new member into your family. I can’t think of anything I’d rather see under the Christmas tree than a Golden Retriever! 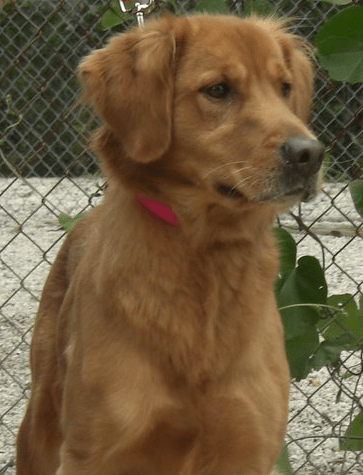 Below are 5 wonderful Golden Retrievers that are available for adoption at various places across the US. All they need is a loving home – could it be yours? Hi, my name’s Jake and I really like to play and swim but my owner is too busy to do too much with me. I love everybody and my owner has helped me learn lots of commands so I know I would make a terrific companion for the right family. Woody here. I’m just a lonely 5 year old boy that somehow got lost and ended up in a kennel at a shelter. No one came looking for me, so the nice folks at RAGofAZ came and rescued me. They don’t know too much about me right now because I can’t tell them, but I’m a scared little boy. If you would like to give me a nice, warm home with a family to love, contact foster@golden-retriever.org for more information. Handsome Andy is as gentle and sweet as they come. “Velcro Golden” is an understatement for this playful and happy boy. If you can’t seem to find him, look directly to your right and odds are he’ll be there smiling back at you. This happy pup loves people, other dogs and most especially his chew toys! He hasn’t met a rope or a bone that wasn’t his best friend. He is great with the local cat and has become best friends with his golden foster brother. He is light on commands as his first language is Chinese, but as smart as he is he’ll pick up the basics in no time. Andy is house trained and great on the leash, but a slow mover over all. Despite a slight limp, he’s still very mobile and has no problem going for a healthy walk of a mile or so. Stairs are no problem and getting on the couch is a piece of cake as well. He’s a stunner so expect lots of looks when this handsome boy is with you! She’s as sweet as can be, this little girl. Between 2-3 years old, we found her waiting for us at a shelter. How she knew we’d be there we’ll never know! Anyway, we’ve found that she’s heartworm positive and will be treating her for that. It’s also apparent that she has suffered an old fracture to her right front leg. We have an appointment with an orthopedic specialist within the next few days, to see what needs to be done. In the meantime, if you need someone to carry things around your house–shoes, old socks, balls–Sami’s your girl. She lives to tote stuff. *As always, we remind our readers to think about the time and financial obligation it takes to raise a golden retriever, and to be fully prepared and committed upon adoption. I can promise you that their endless love and devotion are worth every minute and penny!